On the orders of a New York Supreme Court judge, a $1.2-million ancient Persian bas-relief has been handed back to Iran after more than 80 years of changing hands among smugglers, Press TV reports. 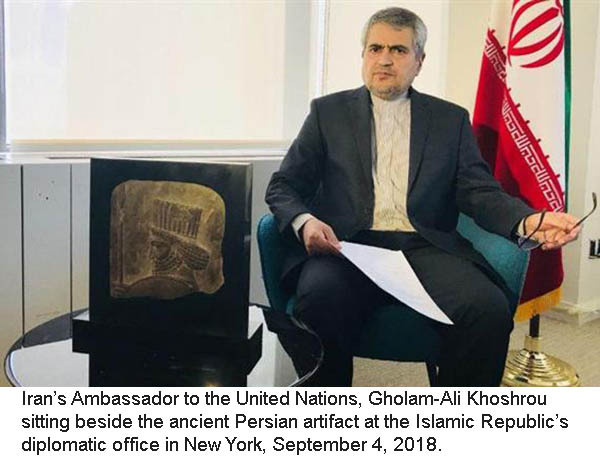 Iran's Ambassador to the United Nations Gholam-Ali Khoshrou said Tuesday that the limestone sculpture, which dates back to around 500 B.C., had been delivered to him. "I'm very pleased that today, a very important cultural item that was smuggled from Iran was delivered to me by the District Attorney of New York County. This object belongs to about 2,500 years ago, and it is a Persian guard's relief of the Achaemenid era," Khoshrou told Press TV. He said the artifact -- which depicts a Persian imperial guard holding a spear -- would be transferred to Iran "soon," according to IRNA. The relief had initially been in 1936 stolen from the ruins of Persepolis, the ceremonial capital of the Achaemenid Empire, situated 60 kilometers northeast of the city of Shiraz in Iran's Fars Province. The ruins were declared by UNESCO a World Heritage Site in 1979. The Iranian ambassador further said the masterpiece had been discovered last year at an auction house in New York. According to The New York Times, the Manhattan district attorney's office had seized the eight-inch relief from the booth of London antiquities dealer Rupert Wace during the fair in October 2017. Iran then presented documents pointing to the Iranian ownership of the work to the office, which stopped its sale, said Khoshrou, adding that it took the investigators 11 months to disprove the ownership allegations by the artifact's self-proclaimed owners. 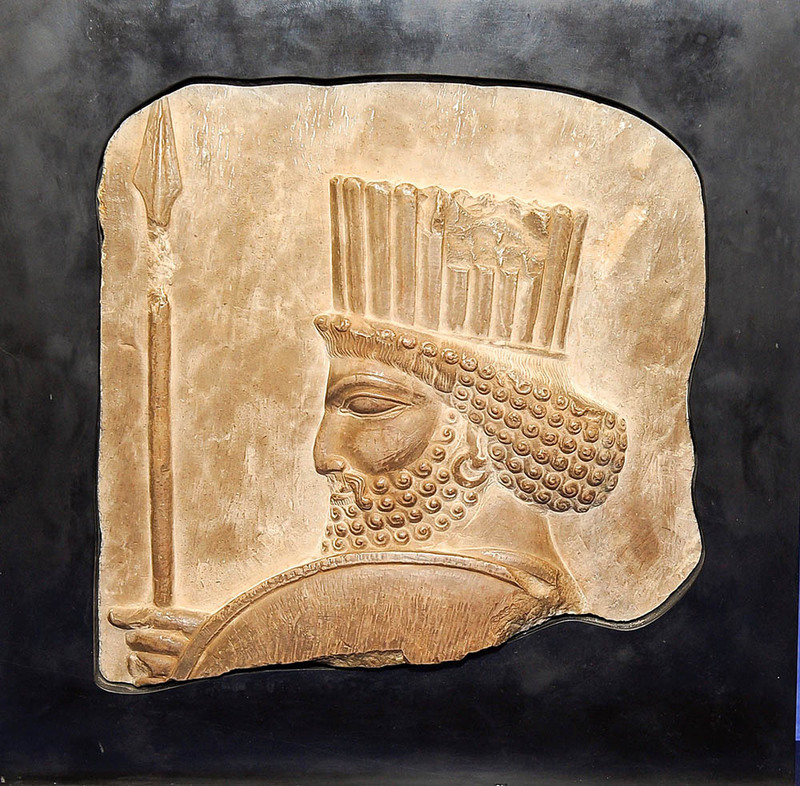 The ruling on the Persian bas-relief was issued in late July. In court papers, the district attorney's office argued that no one can be a good-faith purchaser of a stolen work, according to The New York Times. The Iranian diplomat further expressed gratitude towards both the judge and the district attorney for their cooperation leading to the repatriation of the artifact. "The humanity's general heritage is comprised of these very cultural and historical works. There should be vast cooperation on the international scale to confront smuggling of cultural artifacts and items, and the institutions active in the endeavor should be reinforced," Khoshrou asserted.